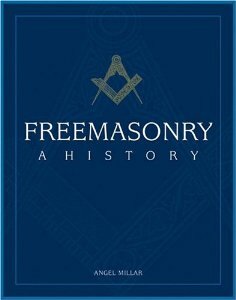 Freemasonry: A History was published in December 2005 by Greenwich Editions/Thunder Bay Press. The work explores the history of the fraternity from its origins as Lodges of the stonemasons’ guild in medieval and early modern Britain to its development into various (often competing) societies conferring mystical teachings through rituals, alchemical and occult symbolism. Freemasonry also contains well over 150 photographs, many of them of artifacts never seen before. These include rare textiles, paintings, chinaware, etchings, and more. A Polish edition, Masoneria: Zarys Dziejow, was published in 2006 through Elipsa.